Sailboat has seen very little use for last 15 years. Recent restoration and upgrades. 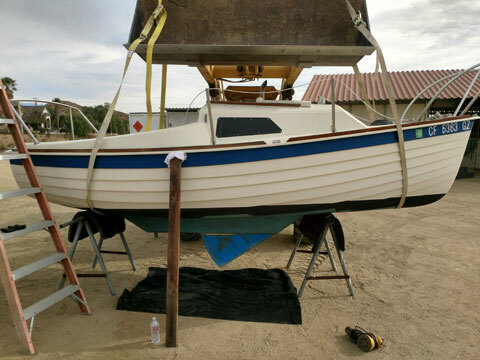 Boat was raised off trailer, centerboard dropped, faired, sanded and painted with three coats of Petit antifouling. Bottom sanded and painted with two coats of Petit antifouling. New mainsail (Bacon Sails), other sails are serviceable but main needed replacing. Mast/Boom- Replaced masthead sheaves for all rope halyards, new mast tangs. Cleats relocated to better spots. Mast and boom cleaned thoroughly and treated with aluminum protectorant. Mast raising assist. Deck fittings replaced were bedded with butyl tape. All stainless treated with Wichards. New running rigging with spliced eyes and new hardware. New standing rigging with new hardware and turnbuckle. Deck and hull cleaned and waxed. 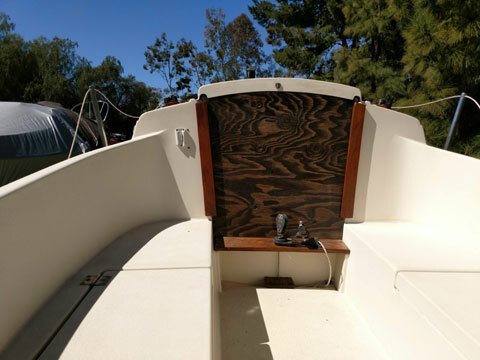 Interior thoroughly cleaned, hatch boards replaced, and all new custom interior cushions (never used). Rudder assembly disassembled, restored and painted with single stage marine enamel. New Taylor made fenders and lines. New dock lines. Danforth anchor and rode. New Marinco air vent, not installed. Trailer- cleaned, re-wired, new tires and rims including a mounted and covered spare. Tongue extension. 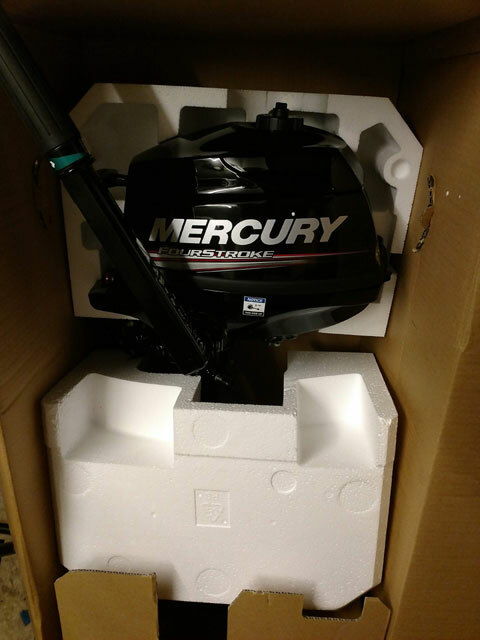 Motor- New in the box Mercury 2.5hp four stroke outboard. Only has been run for 15 min. at dealer during the new motor check. Five year warranty (not three year) is transferable. Boat is registered until 12/19. Trailer has permanent registration. 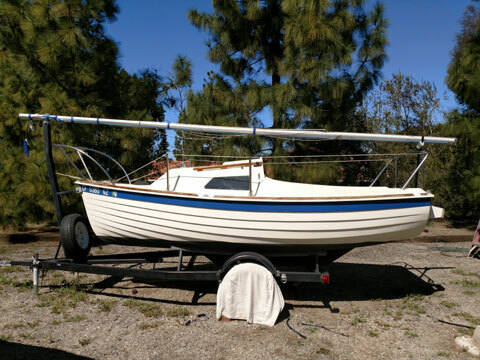 Price for sailboat is $6000 with new Mercury outboard, $5500 without outboard. 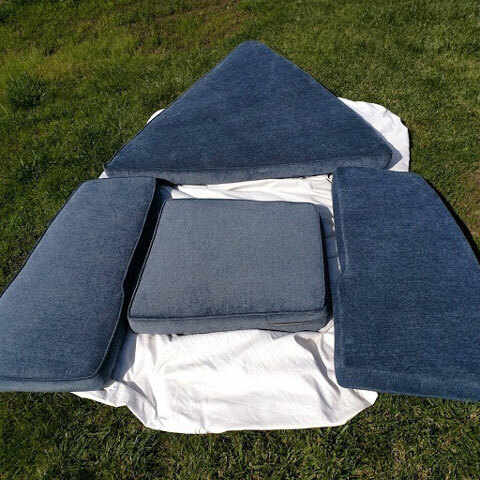 Sail area- 122 square feet.